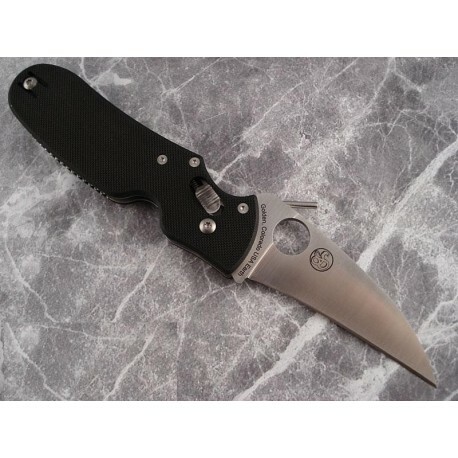 SC103GP Spyderco P'Kal Folder - 4 3/8" closed. Full-flat ground CPM-S30V stainless blade with thumb hole pull. Wave feature allows the blade to be opened as it is withdrawn from the pocket. Black G-10 handles. Stainless pocket clip.